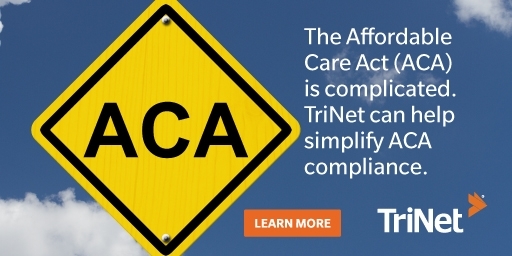 The IRS has released details regarding how penalties for noncompliance with the employer shared responsibility provisions of the Affordable Care Act (ACA) will be communicated. In a November 2, 2017 update, the IRS introduced Letter 226J which outlines the responses employers may make and the process for making payments on assessed penalties. Although no penalties have been assessed to date, the fact that the IRS has now formalized this process is a tell-tale sign that penalty collection is on the way. the employer did not offer minimum essential coverage to the appropriate percentage of full-time employees and dependents. the employer did offer minimum essential coverage but there were one or more employees for whom the coverage was unaffordable or to whom coverage was not offered. In either case, because the employee received a premium tax credit, the employer is now required to pay a penalty for failing to meet the requirements for medical coverage under the ACA. Employers who agree with the letter will need to complete, sign and date a form that the IRS will enclose with the letter (Form 14764 which, as of this post, is not yet available for review). The form must be returned to the IRS, along with the first page of the ESRP letter. Employers who are enrolled in the Electronic Federal Tax Payment System (EFTPS) can pay the penalty electronically instead of via check or money order. Employers who fail to pay the full amount due will receive a “notice and demand” for the balance and a collection process will begin. For employers who disagree with the letter, you are still required to send in Form 14764 and a copy of the first page of the ESRP letter. Employers must also include a signed statement that explains why they disagree with all or part of the ESRP. It is a good idea to include documentation to substantiate your case. The statement should include changes, if any, you want to make to the information that was reported on Forms 1094-C or 1095-C. Included with the ESRP will be an Employee Premium Tax Credit Listing. Employers who feel there are inconsistencies to this list that support their case should include corrections to the list when filing a rebuttal to the ESRP. Employers who do not respond by the required response date on the first page of the ESRP letter will receive a notice and demand statement. The amount due from the employer will be subject to IRS lien and levy enforcement actions. Furthermore, interest will begin to accrue from the date of the notice and demand until the full amount of the ESRP is paid. Learn everything you can about the letter and the new guidance provided by the IRS. Although most Section 6056 filing requirements have not changed since last year, make sure that you are up-to-date on forms and instructions for Form 1095-C reporting for 2017. The new Section 6056 instructions and forms have produced a number of conflicting opinions as to the future of the good faith standard. As of now, no good faith efforts standard has been confirmed by the IRS for filing 2017 returns. Consider reaching out to your HR services provider for guidance and assistance to prepare your response should you receive an ESRP notice. The ACA continues to be the law of the land. Make sure that your business is prepared to meet all the challenges that may lie ahead. Complacency can be costly.